Augmented reality and virtual reality products are expected to drastically increase, from 2.5 million units sold in 2015 up to 24 million units in 2018, according to the Augmented and Virtual Reality Device Forecast, 2015-2019 report. As more consumers begin to test AR and VR solutions, the market will have an estimated net value of more than $4 billion. "Most consumers find virtual reality a mind-blowing experience the first time they try it," said Ben Wood, Chief of Research at CCS Insight, in a statement published by Forbes. "We believe it has tremendous potential and it's not just about expensive high-end devices such as the Oculus Rift. For only a few dollars, consumers can dip their toe in the water with an inexpensive cardboard holder for a compatible smartphone." Even with Sony's Project Morpheus, Oculus Rift, and other high-end VR solutions gaining a lot of attention, CCS Insight doesn't want people to forget about the Made for Google Cardboard and Samsung Gear VR devices. 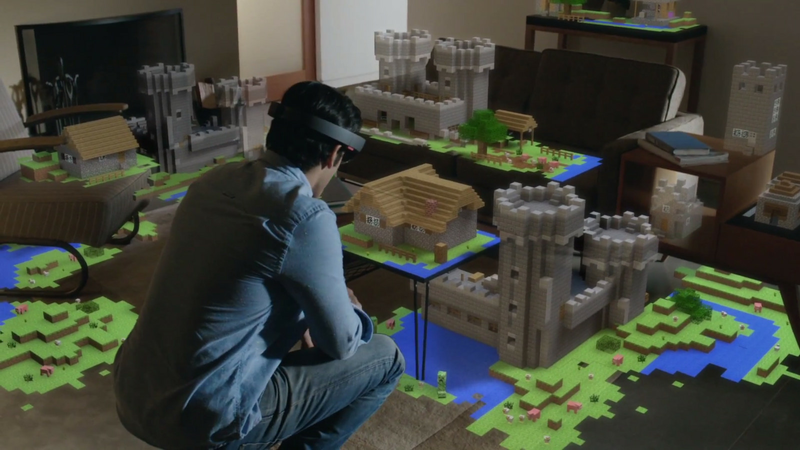 Away from VR, the AR market received a major boost when Microsoft announced its HoloLens project. The holographic overlay has a number of uses for consumers and workers, so expect more attention in the AR market in coming years. CCS believes AR will receive the largest adoption rate from businesses and corporations, with full-scale deployments just a couple of years away.